Are You Looking For a Professional Window Treatment Service in Monroe? Great! Because, Rosen Decorators can satisfy all of your window treatment needs. We are full-service window treatment store that serves residents in Monroe, NJ. Not only do we provide high-quality window treatment services, we offer everything you need to decorate your home. Our products include custom bedding ensembles, decorative hardware for your curtains and blinds (wood and metal poles, rods, finials, and brackets on which to hang the drapery), upholstered headboards, and luxury bathroom accessories. We believe you should have fun when shopping for window treatments. That is why our goal is to show you how easy and enjoyable this experience can be! So stop on by and let your inner interior design creativity shine! Whatever your home décor dreams may be, our job is to turn them into a reality by helping you every step of the way. We want to let all of our Monroe customers know that we do NOT work out of a van! Good old-fashioned personal service is important to Rosen Decorators. The magic is all in our showroom, accompanied by our professional designers ready to answer all of your custom window shadings, blinds, coverings, drapery, and double story window treatment questions. Here you will get a personal view of our products in an actual setting. 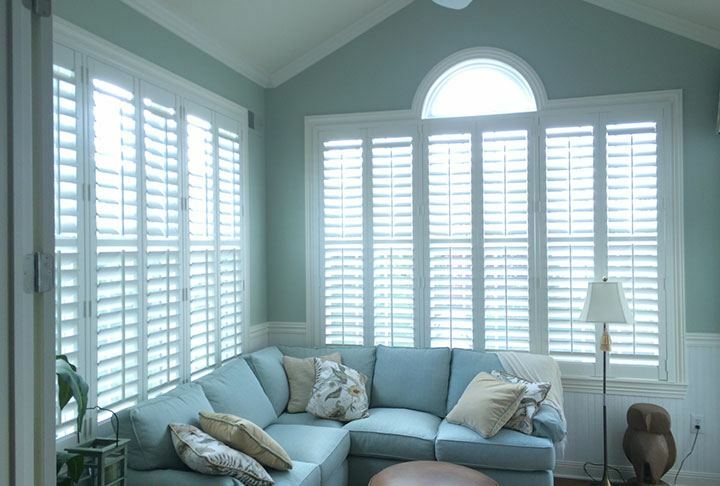 Residents in Monroe will find everything they need and more when it comes to installing high-quality window treatments. Our window covering styles come in many varieties including traditional, modern, eclectic, contemporary, farmhouse, and more. If you are not sure what you are looking for our designers will help you. We offer a large selection of fabrics, trims, and tiebacks that come in many different textures, colors, and patterns. We carry the best in shades, blinds, shutters, valances, drapery, cornices and we specialize in window treatments for high and double-story windows. Whatever your budget may be we will find something that you will love. So what are you waiting for? Our fully trained staff is ready to answer any questions you may have while they show you our complete sets on display in our showroom. Professionally trained with decades of experience, our window treatment installation experts are ready to provide Monroe with the highest standard of customer service in the industry. We take pride in our work and what it takes to make our customers happy. Rosen Decorators offers a complete measuring and installation service that is focused on customer satisfaction. For over 70 years our professional installers have worked on just about every type of window. 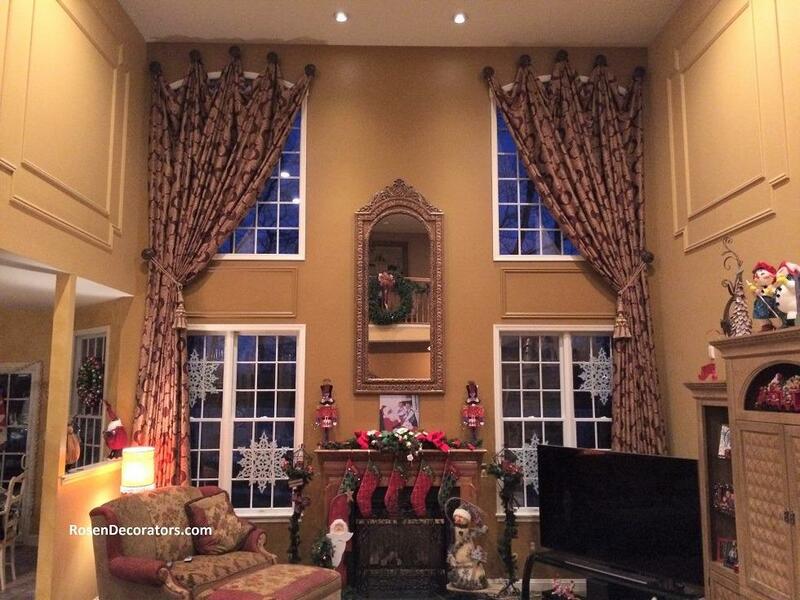 Are you ready to dress up your Double story windows? Perfect! We specialize in full high window and double story treatments in such areas like great rooms, family rooms, and entry halls. If you are living in Monroe and are ready to take your home décor to the next level, our showroom is open 6 days a week. If you have any questions about our services or products please call or use or our contact form.